Breathe Again by Sydney Logan. Publication: July 22nd 2016 by Enchanted Publications. This is a really quick read. The story is filled with grief. Losing a child is something no one should have to witness. Josh has lost his little girl. He feels like he has nothing left to live for. When he goes into a diner, Carrie is there with only coffee and some kindness. When Carrie walks home she sees he is going to jump off the bridge. She talks him down and takes him home with her. She watches him cry and eat and she knows some about grief. She lost her father. They connect and they share a moment of passion. As they get to know each other, there are ups and downs as they try to make the relationship go a little slower since they jumped the start gate the first time they meet. It is sweet and tender. It also doesn’t hurt that he is very rich! This is their very sweet story. Watch the trailer below. I love it!!! My only complaint is that everyone grieves differently. My brother lost his son at a very young age and my stepfather lost my stepbrother also as a teenager. They were almost incapacitated for a while. So, I had a hard time seeing Josh want to be there for Carrie when she needed him (as sometimes she still had trouble with his passing a little time ago), as many days my brother simply couldn’t get out of bed or off the couch. I know I was with him for several weeks afterwards. So, I had a hard time with the story. Yes, she is grieving but his is still too fresh. 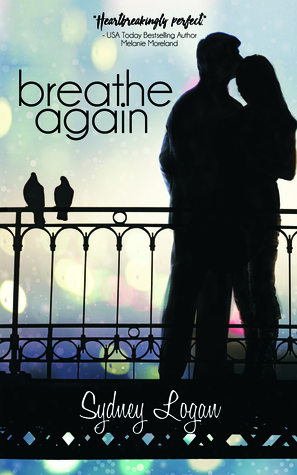 Join Sydney on Facebook at the Breathe Again Release Day Party - July 22 at 4:00 PM EST for author takeovers, games and prizes, including the $50 Amazon gift card grand prize!